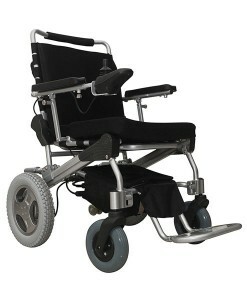 The Pride Go Chair is a compact battery powered wheelchair which disassembles into easy to transport four parts. 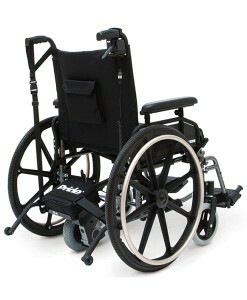 The Pride Go power chair is rear wheel drive and primarily for indoor use. With solid 200 mm rear wheels and rear anti-tip wheels ensure a safe ride while a moulded plastic seat with padding and synthetic cover with seat adjustable height help to add comfort to your journey. SKU: S12886. Category: Power Chairs. Full length, width adjustable, padded and removable armrests provide additional comfort as needed and a pair of 12 Volt 12 Amp batteries, housed in a box with handle for easy removal enables you to transport the Pride Go Chair, which dismantles in 4 parts.